After traveling for 21 months and visiting over 20 countries and 70 cities, I thought it might finally be a good time to share the secrets of one of my favorite cities in the world: Vigo, my hometown. While you can generally expect me to be a little biased, I can say without a doubt that this is one of Spain’s underrated destinations. 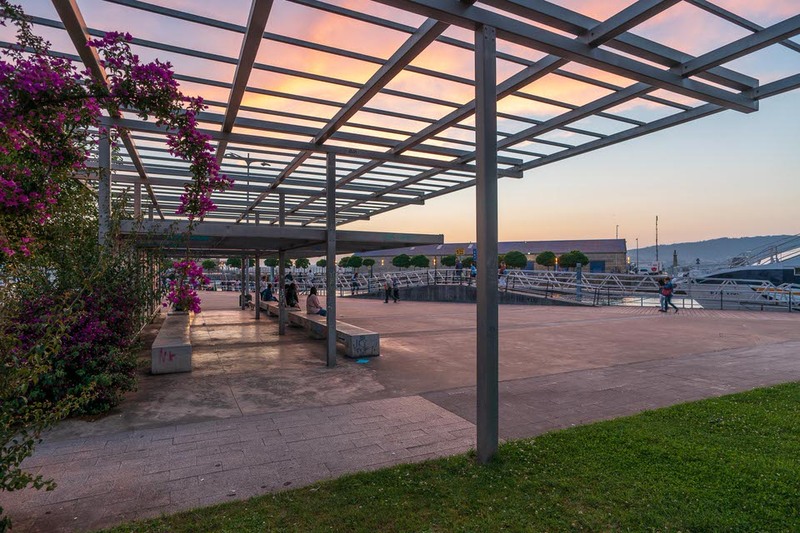 So, I take this as my chance to share this secret city with you and give you all of the reasons why Vigo is the perfect spot for a vacation. Vigo is known for being one of the biggest fishing ports in the world, housing a medium-sized city of about 300,000 inhabitants. It’s all located in Galicia, which is to the northwest of Spain. The magical city of Vigo is sure to captivate you with its amazing food, stunning landscapes, and its friendly and welcoming people. Food is everything for Spaniards, but in Galicia (or just the north of Spain) we take it to the next level. One of the best things about Vigo is the complimentary tapa or pincho that restaurants, bars, and cafes typically give out when ordering any kind of drink. Depending on where you visit, you can be given a “stingy” complimentary tapa (olives, peanuts, or potato chips), but if you know where to go, you can also be given a great tapa: delectable small bites like mini-sandwiches made with cheese and amazing dried meats, a ration of Spanish omelet, small portions of stews, among many others. Also, grabbing a wine or beer will only you cost from 1.80 to 2.50 euros, and that includes the delicious free food – stuff like in the 2 photos below. So if you visit Vigo, ask a local (me!) where you should go. This practice of giving out complimentary tapas is one that you can find in other Spanish cities, too, but not all of them (and definitely not in Spain’s larger, more touristy cities). The most popular dishes in Vigo consist of some of the freshest seafood and fish imaginable because of the port’s importance in the city. This also means that you can pretty much find delicious seafood platters everywhere and at great prices. One of the most popular wines in Vigo, Albariño, is a white wine that belongs to the “Rias Baixas” area in the South of Galicia. In the early ’90s, I spent so many summers at these beautiful islands with my friends and family. 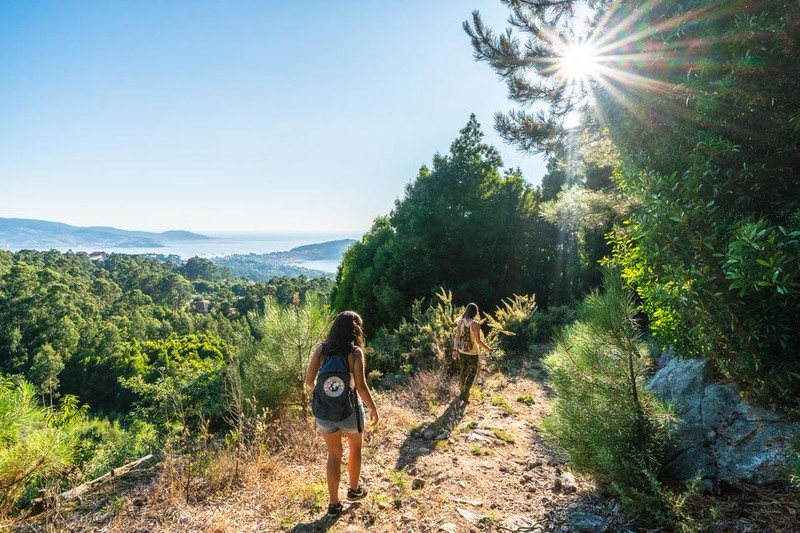 The Cies Islands have changed a lot in the past 40 years: they went from being Galicia’s best-kept secret to being declared a nature reserve in the 80s and then included in the Atlantic Islands of Galicia National Park in 2002. Although they’ve become more protected and modernized now (as more and more local and international tourists discover Cies Islands), the essence of this paradise is still intact. After visiting the Cies Islands this past summer, I can tell you that it’s still far from being any kind of tourist attraction/trap you can imagine. The islands are still pristine and begging to be explored. Just a 45-minute boat ride from Vigo puts you in what feels like a different world, completely disconnected from city life. You can visit the Cies Islands during the day or stay overnight at their campsite. I definitely recommend staying overnight so that you can take advantage of this place and enjoy the islands after the few tourist-filled boats leave the islands. What awaits you? Beach-hopping, mountain trekking, and star-watching are among the best things to do on Cies Islands. Visits are limited to the summer, “Semana Santa”, and random weekends when the weather is good. We’ve got a full article up on how to visit the Cies Islands – check it out! Although Vigo doesn’t many impressive historic buildings within the city, today we have a charming, restored old town area in the city center that we call Casco Vello (in Galician). For years now, this part of the Vigo has become one of the best parts in town for hanging out and bar hopping on the weekends. This is a pedestrian area covered in plazas, narrow streets, and hidden corners that are full of life. You can also find the “Concathedral of Santa Maria of Vigo,” a Catholic church situated in the middle of the old town. That same church area also becomes what’s known as “La Colegiata” at night, where people gather and hang out. Just nearby is also one of the more touristy areas of the city, the “A Pedra Market,” which is a covered market where you can find clothes from well-known brands at affordable prices. Lastly, right behind the “A Pedra Market” is a street with several seafood restaurants, known as the “Oyster zone,” which is famous for its ostreiras (women that sell fresh “oysters” from their kiosks) – this is a must for a lot of people. This entire seafood area is great and I recommend you visit it; if you’re looking for a place to sit down and eat, though, choose a different area. The reason is that this particular street is also behind the commercial port, where international tourists first arrive when their cruises stop at Vigo. Although I haven’t visited these restaurants personally, I’ve always heard (and understandably so) that prices are relatively high because of the touristy atmosphere. 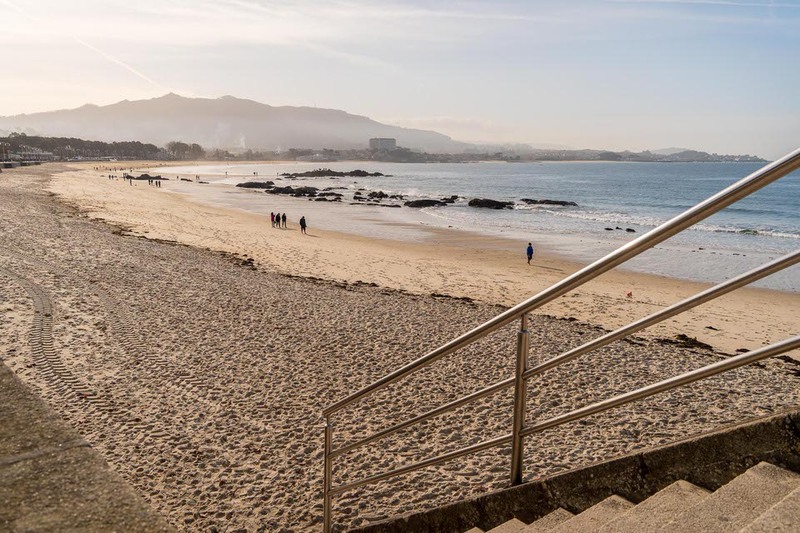 Samil is the city’s main beach and it’s only a 15- to 20-minute car ride from the city center. While I have to admit that this is not the best beach around (Vigo has absolute treasures when it comes to beaches), it’s a really nice quick visit if you want to step out of the city. Strolling around the beach, playing basketball, or skating in the neighboring park is particularly amazing before or after the summer season (when there are fewer crowds). There are also several cafes that surround the beach: beautiful views of the beach in the foreground and Cies Islands in the background accompanied by warm lattes or cold beers. Nearby is Ria de Vigo (Vigo’s estuary), which has several of the most stunning beaches you’ll ever see. Beaches with white sand and crystal-clear water at the estuary along with the amazing contrast between the surrounding mountains and beaches. The Cangas do Morrazo area that can be reached by crossing Vigo (via boat or car through Rande bridge) is definitely my favorite area, along with its extraordinary beaches: Areabrava, Barra (nudist beach), or Castiñeiras, among others. And for surfers, we have amazing beaches like Patos or Paxon, where you can find pretty big waves and surf schools. O Castro is a park on a small mountain that can be found right in the heart of Vigo (next to town hall). The best way to visit this place is to start at Camelias street and start enjoying each one of the different tiers of this park as you travel upwards. You’ll come across a small site that serves as a reminder for a memorable battle that happened in Vigo (Battle of Rande), several parks for children, and lots of viewpoints. The best part is at the top, from within the fortress (or the Castro Castle): unbelievable views of Vigo from the center of the city, all surrounded by gorgeous gardens. At the lower levels, you’ll also be able to visit archeological remains of a Celtic site, called Castros. All in all, this really isn’t a bad place to visit, especially when you consider that it’s all free! Vigo is surrounded by mountains (the tallest being around 700 meters), which means it’s perfectly suited to produce some of the best pictures – whether of the city or the surrounding area. In recent years, a viewpoint located in the municipality of Rendondela (next to Vigo) has become popular because locals built a small bench at the very top of a mountain that said “El Mejor Banco del Mundo” (“The Best Bench in the World”), with an incredible view of Vigo’s surrounding waterways. Unfortunately, some people very recently tried to destroy the bench (namely by setting it on fire), but regardless of the state of the bench, this site continues to be absolutely stunning and only takes about 20 minutes to reach by car. Getting to the top is easy enough by foot and 100% worth it! Vigo is less than 30 minutes away from Portugal! Yes, the border of Portugal is easily reachable by car, bus, or train, and it’s one of our favorite ways to spend a day in Vigo. Since there are no “physical” borders, it’s really easy to spend the day there from Vigo. Visiting two countries in one day couldn’t be easier. The first place of interest in Portugal that you can visit when you cross over is Valença, a beautiful town surrounded by a fortress that is popular for its Wednesday markets and its old town. Food (especially coffee and pastries) is outstanding and remarkably cheap in Portugal. Something that many of might not know is that Vigo is an only an hour and 30 minutes away from the lovely Porto. For incoming international flights, this vicinity makes Porto a great option for getting to Vigo. 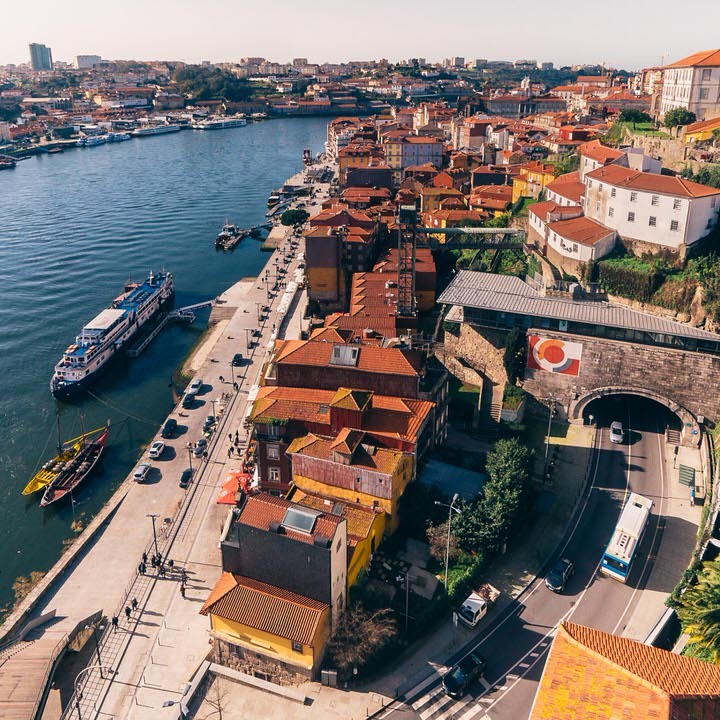 There are many cheap international flights that arrive in Porto nowadays, and you can land here and get to know this vibrant city before taking an easy bus or train ride to Vigo. This is one of my favorite getaways: spend a day in Porto like we would by checking out our article! Even though Vigo isn’t the most popular place in Galicia, I’m sure that many of you have heard of Santiago de Compostela and “El Camino de Santiago,” a famous trekking route taken by tourists and pilgrims from all over the world that has you crossing through the capital of Galicia and ending at the Santiago Cathedral. This route reaches several spots in Portugal and Spain and can take as long as you want. Some of these routes also pass by Vigo (the ones coming from Portugal). So… are these enough reasons to make you want to visit Vigo? What’s your underrated location that you can’t wait to tell other people about?? Tell us in the comments below!